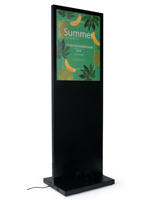 These Totem Displays are Great for Retail Use! These Displays are Perfect for Using in Storefronts! These Totem Displays have a Friction Clamps! The largest illuminated totem stand on this site! 58 Watt fluorescent bulb brightens up posters to create an attractive presentation. 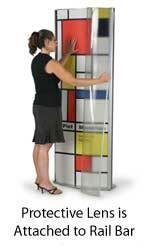 Protective lens attaches to left rail bars and swings open like a door, freeing up users' hands to insert poster. Two friction clamps on top keep posters in place when rail bars are open. 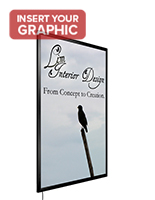 Aluminum display has silver matte finish to nicely mesh with any decor. These totem displays have a silver matte finish The height of these floor standing signs are sure to draw attention and really catch customers' eyes. 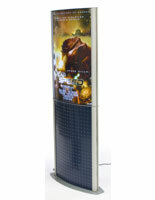 These silver totem displays are backlit to brighten up any poster or custom graphic. The base features a hole at the bottom to run the power cord through and keep most of it concealed. 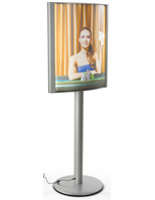 These totem displays, also known as poster stands, are double sided to capture the attention of patrons from nearly any angle. The convex curved design helps improve the visibility of the posters, and gives this stand an attractive appeal. These totem displays have a silver matte finish that will nicely accent any graphics. This stand has protective lenses to protect posters from damage. These totem displays have rail bars that snap open to easily change signage. 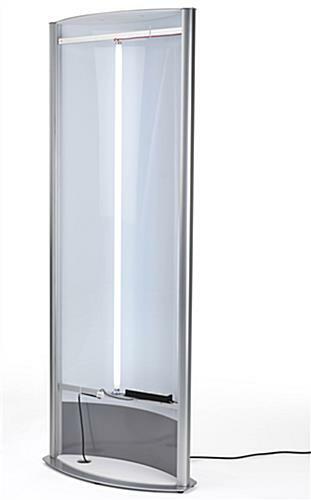 This floor standing poster display also has friction clamps at the top, to hold any poster in place while closing the rail bars. These totem displays that are for 27" x 77" signage also feature a non-glare protective lens that attaches to the inside of the rail bar. 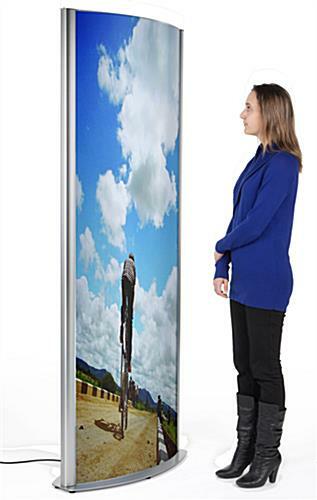 This lens swings open and acts like a door, so users' hands are free while inserting posters. 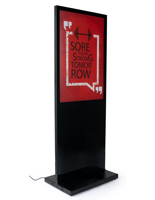 These totem displays that hold posters also feature rubber stoppers on the base to prevent the surface from being scratched. 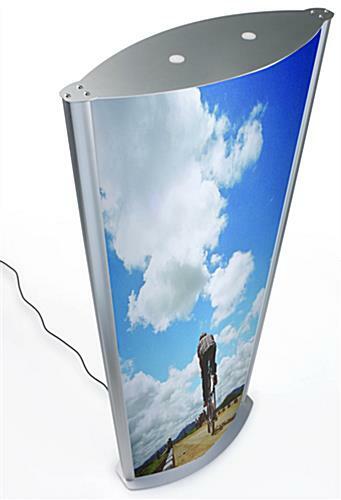 These stands are designed for 27" x 77" posters. 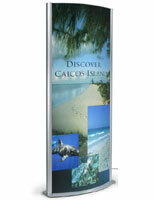 Totem displays that have rail bars are also available in other sizes, styles and colors! Click here for a How To Guide. 31.0" x 78.0" x 11.5"